The Chemical Society of Japan holds the national meeting annually in Spring, which covers all academic fields in Chemistry. BCSJ has just released Account/Review Collection covering all reviews and accounts published in 2018. All of them can be downloaded freely (Open Access). 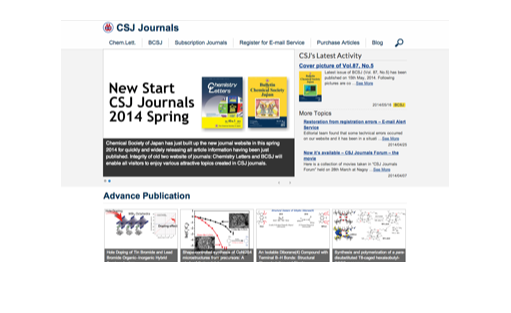 Chemistry Letters is a monthly, online and in print, scientific journal for the publication of Highlight Reviews and Letters focusing on current topics of all aspects of chemistry.